Transfer of training is an extremely important issue in the training of athletes. Let me explain this, because what is training? Training is the planned, goal-oriented process consisting of the repetition of physical exercises with the intention to improve the performance of an athlete. It is what athletes do and what the coaches come up with: yes…… physical exercises. And already the core of the problem presents itself: which exercises does the coach chose in order to improve performance in competition? Which exercises does he chose and which ones does he ignore? We aren’t even at the stage of deciding the amount of reps, sets or rest intervals of a chosen exercise yet. The menu of possible exercises is a large one. But the first decision is an important one. Are we looking at the short term, tomorrow’s workout, or in the long-term, becoming Olympic champion in 8 years. This is also important because the menu changes over time. There are many exercise that might be used for the training of elite athletes only, but not for juniors or beginners and the other way around. In the process some exercises that fulfilled their purpose in an early stage of the athlete’s career disappear from the menu, while other exercises already executed during the first workout of an athlete are still there in the very last workout of the same athlete. As you can imagine, transfer is a complex subject and there isn’t a lot of scientific consensus about this subject. Not a lot is written about it and what is written is hard to read and to apply, although Dr. Bondartschuk has done a good job writing some books about it. So basically, what is transfer? Transfer is the thought that by choosing and executing certain exercises from the menu, these exercises will somehow directly or indirectly translate or contribute into a better performance. You can imagine the discussions about the choice of exercises in order to improve performance. Some coaches are in love with certain exercises since they are sure these are an absolute must in the training of the athlete otherwise he/she will not improve. The same exercises however are on the “banned” list of other coaches. And here is the catch, the athletes of both coaches can be very successful! Let’s start with the first choice to be made: the long term. Long term in this case means a timespan of years to even a decade or in other words, a large part of the career of an athlete. This choice is related to the long-term development of athletes and the choice between early specialization in a sport or event or the choice to perform more and different sports before the athlete starts to specialize. We can find many examples of athletes who are/were the best in their sports, starting and specializing at a very early age. Tiger Woods in golf, the Williams sisters in tennis. At the other hand there are many examples of very successful athletes who started at a very late age. I don’t want to go deep into this specific topic, but here is my take on this: I have seen and coached world-class athletes in the same event, at both the extremes of this spectrum. Some athletes specialized early and were masters in their event, while anything else, other sports, other events, playing with a ball, was nothing less than a motor disaster. I think some athletes need many hours of rather specific training, while others are better off building a broad base of motor experience as a foundation for later success. The rhetorical question is always whether an athlete becomes really good due to early specialization or despite the early specialization (and would have been better off practicing a different or more sports before specializing). Anyway, in many cases we start coaching athletes at a later age e.g. 16-18 years old, and by then we don’t really have to make a choice about early specialization or practicing different sports, since the athlete already went through that stage. This also creates doubts about the reality of a long-term athletic development system or LTAD. I know only of one example where this idea existed and worked, in the former GDR. The whole long-term process of athlete development was from the beginning to the end tightly integrated and controlled by the state’s sports authorities. Every coach knew he/she was a link in the chain, but knew what had happened in the link before and what was expected from him/her in the link after. It was a continuous process, developed by and controlled from above, therefore controlling every single link in the chain and no weak links. Most coaches limit their choice of exercises, based on transfer of biomechanical and kinesiological factors. In other words they look at the similarity of the movement patterns of the exercises and the predominant competition movement patterns or clusters. 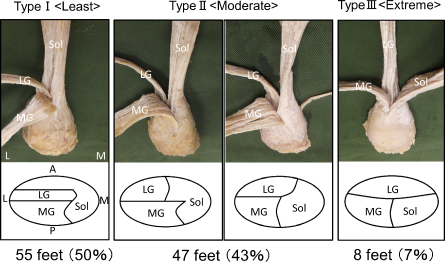 But transfer does not only depend on biomechanical similarities. One also has to take into account the metabolic and psychological similarities. For example, the duration and intensity of an exercise dictate the metabolic pathways being used. And of course the level of pressure under which an exercise is executed. It might be easy to display a perfect technique in training for a short duration or at lower intensity, but what happens in competition with high pressure, under fatigue with maximum intensity? Short-term transfer is more related to the choice of exercises and their effect, over a short period of time, from minutes to months. • does an exercise contribute to a better performance? • in which aspects (biomechanical, metabolic and/or psychological)? • how much does it contribute (priorities)? • when does it contribute? • does the effect of an exercise change over time? I don‘t have the answer all of these questions in detail, but will try to give you my opinion and some food for thought. Many choices a coach makes are driven by insecurity, doubt, uncertainty, and answering the question: ‘is this really enough or sufficient?’ And all too often the answer is : “no”. Or: ‘we also do this exercise, just in case’. And sometimes you hear this: ‘ if it doesn‘t hurt, just put it in the program’ . In the end, this idea is dead wrong! Simply because performing any exercise will cost resources and energy, metabolic energy, adaptation energy, energy for recovery. And the athlete only possesses a limited amount of resources and energy. That is why some athletes end up spending 3-4 hours in the weight room, trying to get stronger and faster, making more hours and more miles, performing so many different exercises or drills and only increase the risk of flat or submaximal performances, overtraining or acute or chronic injuries, often without any improvement of performance. There the saying the more, the better not only applies to training volume or frequency, but also to the amount of different exercises and drills. To what extent can an exercise contribute to improved performance? Let’s assume you want to run 100 meters fast, which exercise(-s) would you use? I would begin by running 100 meter fast in training because then you have all the components in a specific way. Sounds logical? Yes, because we are assuming: what you train makes you better. So by running 100 meters fast you become better at running 100 meters fast. But in the longer term, after e.g. a few months you will discover that only running 100 meters fast will no longer improve your 100 meter time. This is because the principle of diminishing returns dictates that the body will adapt to a certain specific training load and therefore this training load will have less and less impact on performance, if repeated over a longer period of time. The second idea is to break up the 100 meter race in different functional components and see which components need to be stressed specifically. 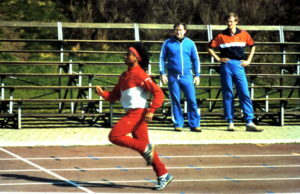 Let’s say, the last part of the 100 meter race is OK, but the first part of the race, e.g. 30 meter is poor. 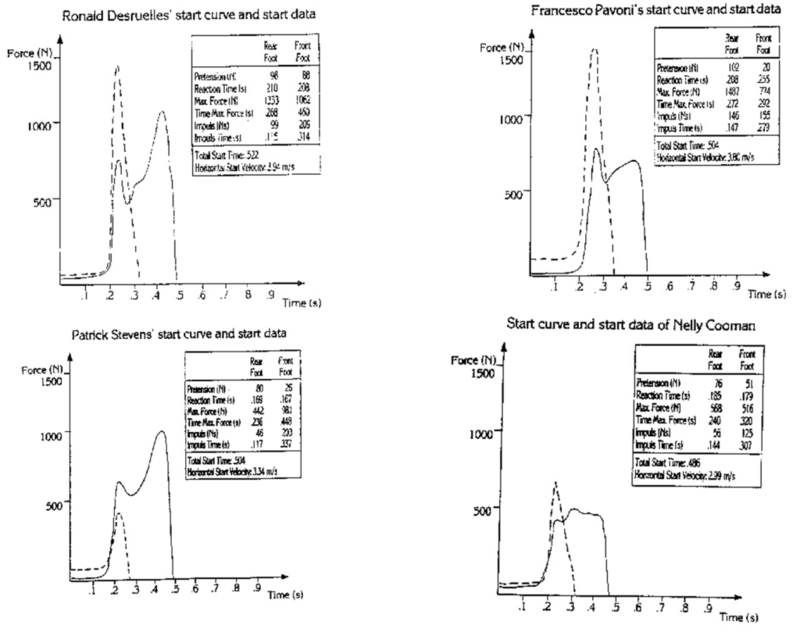 So we reset our priorities and start to work on the start and the acceleration, making more repetitions of those, by running e.g. 30 meters from blocks or standing starts. But even then, in the end the effect of doing this will diminish. Maybe adding strength training might be a good idea since the acceleration-phase has a strong relationship with strength qualities, such as explosive strength. Here you recognize the shift from very specific training, e.g. running 100 meters fast, to more general exercises which show less similarity to the intended goal, e.g. strength training with Olympic lifts, squats, leg press etc. Let me use some symbolic numbers, say running a fast 100 meter in competition is 100%, running a fast 100 meter in training is 98% (running alone, less pressure, no crowd, nothing at stake). Let us call this 98% a high transfer potential. Now take performing a set of biceps curls, since the sprinter moves his/her arms and bends and extends the elbow while sprinting. This has a very low transfer potential, let’s say 5%. In other words, you can only have a very faint hope of improving your sprint performance by becoming great in biceps curls. A negative transfer potential means that performing this exercise has a negative effect on the intended performance. The transfer potential displays the likelihood of an exercise contributing positively to a competition performance. Many coaches think that a relationship between two variables is clear and linear i.e. ’if this, than that’. Unfortunately this is seldom the case. An example: one might think that by testing sprinters for their 1RM in squats, this will show that the best sprinters lift more in squats. But does this mean that lifting squats will improve sprinting? Many coaches think so, but it might also be that by performing a lot of sprints the athlete becomes stronger in squat. Or it might even be that by performing more sprint training, one might become stronger in squats as well as faster in sprint. It doesn’t really mean that by doing squats you are going to sprint faster! For example: in one European country, athletes and coaches interpreted the findings of sport scientists who found a strong relationship between explosive strength (vertical jumping ability) and sprinting performance. And they started to do a lot of jumping in order to improve their sprinting performances. In the end these athletes had abnormally good results in explosive strength tests, but they did not sprint any faster. An imbalance was created by confusing the end and the means or, cause and effect. In our choice of exercise we have to be more or less sure that the exercise will positively contribute to an increased performance at a later stage. If you are not sure of this, leave it out! Just the fact that an exercise exists or can be done, does not necessarily mean one has to incorporate it into one’s program or has to execute it. 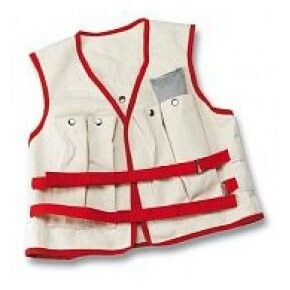 “Just in case” is not a good argument for an exercise in be included in a training program. What a month it has been. When one gets older, yes, you will too, life often naturally slows down as a preparation for retirement. Not in my case however, I am busier than I have been in a long time! So, an overview of what happened this month so you understand why I had little time to write a new blogpost. Your question is obvious: why? My counter question: why not? But seriously, I think I am a better coach now than when I quit in 2004 and I had 13 years to read, study, research and experiment and giving me more knowledge than I had before. And somehow I find some athletes deserve this. We‘ll see, it won’t be easy, but then….. it never is. Peter Joosten, of Project LIFE, a very smart and ambitious young man who is fully in touch with the latest technologies, biohacks, quantified self, etc. asked me contribute with a podcast. Peter is always at the edge of the latest developments in these fields shares this informatiion with a larger audience. It was about the role of complexity and technology in sports training, more of a fundamental view. 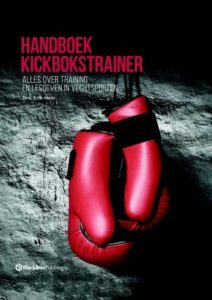 A new book came out: the “Handbook for Kickbox Coaches”, written by my good friend Erik Hein, and I am proud to have contributed a chapter. Holland has a good history in martial arts and kickboxing, but their training methods are often based on old- fashioned ideas, misconceptions and lack of knowledge of modern insights in exercise physiology or motor learning. 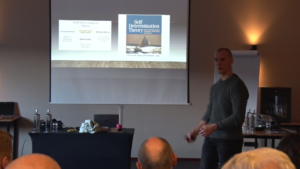 Erik, being one of the main educators in martial arts in Holland, brings them up to date real quick with state-of-the-art knowledge, during his lectures and with this book. A job well-done! 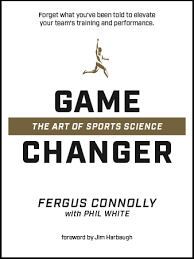 It doesn’t stop: another good friend, Fergus Connolly, recently published his experience and knowledge in a beautiful book: “Gamechanger” an appropriate name, since after reading this book, one will never look at team sports like one did before reading it. 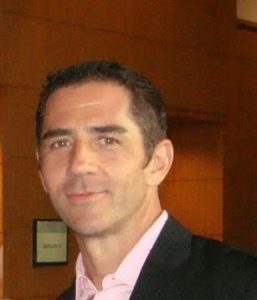 He gives the right place to sport sciences within the context of elite team sports, tapping into a vast amount of resources, knowledge and experience as sports scientist attached to very good teams in different team sports, like rugby (Welsh Rugby Union), NFL (San Francisco 49ers) and even Gaelic football. A must-have for S&C coaches! Our seminar surpassed my best expectations, the quality of the presentations as well as the quality of the audience was great. I am really proud of it. This time I did not speak myself, in order to give more time for the invited speakers and that was a good choice, since the day was packed with new and interesting information and I learned a lot. 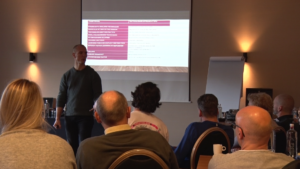 It will be hard to find this necessary kind and this level of information for coaches in Holland, since the coaches education, especially at the highest level, is completely insufficient and no as good as it was e.g. 30 years ago. It’s a shame, since I think elite coaches deserve to get adequate education that prepares them and their athletes to train and to compete more succesfully. 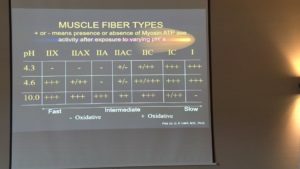 Bill Laich first talked about the muscle biopsy procedure, the differentiation of muscle fiber types and its relevance for training. His presentations are always very methodically, step-by-step, but dispersed with practical examples of elite athletes and anecdotes. It is his great strength to make very complex issue comprehensible for everybody in the audience. And you always feel there is much more depth in his knowledge about the topics he speaks about. 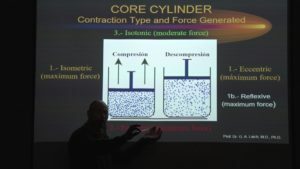 In the afternoon Bill spoke about the structure and importance (and the complexity) of the “core cylinder”. He unravelled the muscles involved and how they work in order to connect the forces between upper and lower body. Food for thought for many of us. 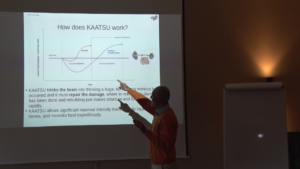 Robert Heiduk explained the benefits of KAATSU, an addition to training, in order to enhance the effect of training and rehab, of Japanse origin. Robert has several years of experience with this concept and explained that and why KAATSU is not the same as blood flow restricted training and that just wrapping a belt around a limb is not adequate for getting the right training effects. This concept has many advantages for training, rehab, but also for recovery, for warming up and for clinical uses. It is used superimposed on regular and light exercises and has therefore an ignorable risk of injury. 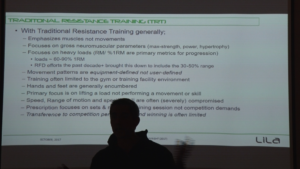 Joe Dolcetti, developed the concept of “wearable resistance” and pointed out that this is the most specific form of strength training, giving the athlete extra external load, thus increasing strength, but the extent that it does not interfere with the technique or disrupts the motor pattern. This creates and excellent level of transfer from exercise to competition movement and it is applicable to any sport. We started experimenting with it immediately. 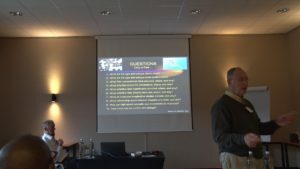 Erik Hein, see above, took us on the way of the peaceful warrior and pointing out three important pillars of becoming a peaceful warrior, (remembereing that competitive sports is a conflict model, a zero-sum gain – my win is your loss) These there pillars are competence, autonomy and connection. He also lead us along the important issues of motor learning and transfer, and compared a traditional approach to a tactical approach for these issues. Summing up: from the feedback we got it was a great seminar and I already have a date for the next one: March 24, 2018. In the meanwhile these presentations will be available by video-on-demand on this blog. Be prepared to listen to presenters and topics beyond „the usual suspects“. As I announced in an earlier post, I am proud to announce my first seminar since 15 years, taking place November 18, in Hilversum, the Netherlands. For good reasons I decided that attendance will be by invitation only. If you did not receive an invitation, and would like to attend, let me know at info@vortx.nl, but make it fast, since there is a limited amount of seats available. A long term friend and mentor. Our relationship goes back to 1984. He was the doctor who took the muscle biopsies from Nelli Cooman and Merlene Ottey and we worked together at Juventus. Other sports stars he worked with in the past are Diego Maradona, Ayrton Senna and many, many more. His first lecture in the Netherlands was already in 1986 and even now people talk about that lecture. No only is Bill a doctor, Ph.D and specialist in Plastic and Reconstructive Surgery (and he recently got his degree in Psychiatry), nowadays he is also professor in Medicine at Alfonso X el Sabio University. But what few people realize is that he also has a seventh Dan in Shotokan Karate. Here is a link to an older video of Bill in action as a karateka. He is much better now than he was in this video. Both presentations will be full of unique information and will have an impact on our daily work with athletes. Working in elite sport we don’t need mediocrity, there are enough mediocre people around. We need people who stand out or stand up, we need people who can think out of the box. We need the outliers, not the followers of the latest fad and we need people who possess the fine combination of theoretical background and practical experience: most of the time one of these two is lacking. We need people who stick their neck out and dare to think beyond, who make a difference, the game changers, the ones that can tip the playing field with their broad perspective. 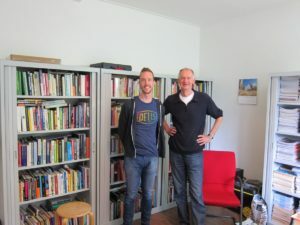 One of the people belonging to this category is Dr. Robert Heiduk, a German sports scientist, theoretically grounded, and always curious and open-minded when new concepts appear and always looking for the cutting edge. In his daily practice he consults with elite athletes of many sports and he does not shun the more experimental approach. Every year he organizes the excellent Athletik-Kongress in Germany sharing information with colleagues. And he is a keen athlete himself, to an extent that makes me jealous. I don’t know too many scientists who are able to perform the exercises shown in the video link below. 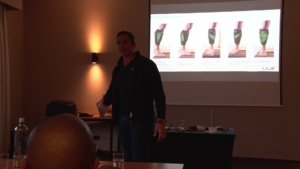 Robert is going to introduce the use of blood flow restricted training or Kaatsu, a method not only excellent for use in sports performances, but also in a clinical setting. His book about blood flow restriction or Kaatsu is coming soon. Designer and developer of the special hyper gravity wear, making specific strength training much more practical and versatile instead of working with the old-fashioned weight vests. Joseph is an extremist, visionary, innovator and leader as a conditioning specialist, athlete and coach. With a career that has spanned over 31 years and included training athletes from the NBA, NHL, MLB, MLS, US Military, Team Canada, UBC Athletics, Canadian Armed Forces, China Olympic Committee, Malaysian Sport Institute, Doha Olympic Committee and more he has had the very fortunate opportunity to work with and learn from many of the world’s top sporting programs, athletes, coaches and sport scientists. This has given him a truly global and intimate understanding of human adaptation which has complimented his deep intuitive understanding of human movement. He will talk about the why and how of the use of this equipment, and will discuss the latest research. This is going to be a trend for the future since specific strength training is a hot topic in elite sports. I am sure you will receive some unique and interesting information as well food for thought on this day. Maybe we meet on November 18. At any seminar or course where I lecture, I see colleagues coming up with fantastic, complex, cool and challenging exercises. Look around for athletes lifting a kettle bell while standing on a Swiss ball with one foot, the other foot hooked up in TRX, wearing a weight vest and attached to an elastic cord. Is this the right way to improve strength, balance, core stability? Everything pressed into one exercise. Or athletes running up a steep hill, wearing a weight vest, pushing a sled, pulling another sled, just to make sure there is “overload”. Functional??? What a joke… what function are you trying to improve here? Where is the transfer to real life or real competition. Forget the deceiving word: “functional”. I often see those „exercise-architects” designing programs with what I call „exercise-diarrhea“, a multitude of cool exercises of which the purpose is unclear. Other coaches copy those exercises and have their athletes or clients perform them too. Why? Because the exercise exists and …. because we can. For me this is never an argument, we perform exercises because they significantly contribute to a better performance. If I am not sure of that… I leave them out of my program. These exercises are redundant, and often performed out of the neurotic fear of not having done enough different exercises. The majority of the coaches is afraid to set priorities, to make a choice in exercise, to leave exercises out or to do these exercises later on in the week. Yes, I have learned too. When I was an athlete, coaching myself, I did squats, but also calf and glut exercises for explosive strength, not to forget the hamstrings and iliopsoas for balance. And then there were the obligatory back and abdominal exercises. And the shoulder and arm exercises, biceps and triceps and the wrist curls to top it off. And this in every strength workout 3-4 times a week. I spent hours in the weight room, not getting much stronger, just getting slower, getting injured and needing more time for recovery. Over trained and fatigued by the energy expenditure of the workout and the energy for recovery. The best lessons are learned the hard way. It took me three months to figure out this was the wrong direction. Don’t get me wrong, I am not saying you should limit yourself to just a handful different exercises or drills. You may know hundreds of them, just don’t try to cram them into one or into each workout. It is like having dinner, you don’t put a slice of pizza, a chocolate cake, a spring roll, spare ribs, half a taco and one scoop of strawberry ice cream all at once on your plate. You’ll get your calories that is for sure, but it most likely didn’t taste like anything. One of the most frequent mistakes is to try and hit two targets with one bullet: you will probably miss both targets. Leave alone hitting more than two targets. Bottom line: if you’re not absolutely sure that the exercise you have in mind has a significant and positive contribution to the outcome of competition performance … leave it out. Don’t do an exercise just because you can. Isn ‘t this what it is all about? You trained hard for that particular competition and now you want to be the best you can be. Or are you just training to train, or training to compete no matter what the result will be? I guess not. I write this while watching the World Championships Athletics in London, and calculate the results of the Dutch team so far. A few days ago I gave a TV interview about what peaking is and how to do it. Here it is in a nutshell: Peaking is delivering your best performance (ever or of the year) when it counts, most of the time during a major championship such as Olympic Games or World Championship, but also at the Superbowl, the NCAA, a Grand Slam, Grand Prix or Diamond League. It’s our major task as coaches. Quite a few athletes do very well in local championships or the national championships, but when it comes to the Big One, they don’t perform as well. Peaking isn’t rocket science nor a mysterious process. Like many things it’s quiet simple if you know what to do and how to do it. But looking at the results you find out that many coaches don’t have clue. 1. The important factor in fitness is conditioning: the athlete needs to have a high level of fitness, strong, fast and/or good endurance, depending on the sport, but furthermore an adequate technical level and tactical skills. This is the easy part, because this is what we train for on a daily basis and what we can measure and control by testing. 2. Readiness is more difficult as it is harder to know whether the athlete is ready or not. With ready we mean that the body’s physiological systems are fully charged and well-coordinated. By training and conditioning we temporarily decrease readiness. The athlete gets tired but recovers on a daily basis , but there is also an accumulated, residual or deeper fatigue. Readiness means freshness, not being fatigued. Nowadays we use sophisticated equipment such as Omegawave to measure the readiness level of the athlete. But for my own athletes I designed a simple algorithm for tapering, to make sure there is little chance they enter the stadium fatigued. 3. Stress resilience or the ability to handle stress and deal with the pressure that comes with competing at the highest level. The ability to handle your doubts or fears whether you are good enough to win or good enough to produce a good result. And the added expectations and pressure of parents, peers, coach, club, federation, media and sponsors. So in order to peak the athletes have to be fit, recovered and stress resilient. Most of the time I find that two of three of these factors are OK, but the third one is inadequate. Only in hindsight can we judge if the athlete peaked. It’s hard to predict if an athlete is going to peak if you don’t know them well. Many athletes THINK they will peak or assume they are ready based on the wrong assumptions: “I never trained so hard before”, “I feel in good shape”, “my competitions so far were good”, “I see this as a challenge”. All great, but it’s not enough nor by any means a guarantee for peaking. In measurable sports like athletics, swimming, weightlifting, it is easy to evaluate if the athlete peaked or not. For myself, I use the 2% rule: if the athlete is within 2% of his/her best performance that year, they peaked. If the athlete performed worse 2% from their best performance that year, they did not peak. In some track events, you don’t need to apply this rule e.g. in the middle or long distance races where a tactical race with a fast last lap only and a slow time can still deliver a gold medal. The 2% margin is quite large, but also includes possible unfavorable weather conditions, like head wind, low temperature, rain or slow tracks. But if you want to apply a sharper 1% margin that is fine too. If I apply the 2% rule to the Dutch team at the 2013 World championship, only 9 out of 17 athletes peaked, after applying the 1% rule only 5 out of 17 events the athlete(-s) peaked. In any case a strong display of inability of the coaches to make their athlete peak at the right time. Let’s face it, this championship is the final goal of the training process. The most neglected factor is the stress resilience factor. Here improvement takes a much longer time than most coaches assume and for sure is not the result of hard physical training. Some part of the ability to cope with stress is genetically determined and hard to compensate, but possible in my opinion. One can see this because some athletes train hard and are well-rested and ready but they repeatedly crack under the pressure of the Big One, sometimes year after year. Others don’t train as well as they should, but always seem to go beyond themselves and surprise you with a great performance at the championship and even a gold medal or a personal best. Peaking is not difficult but it is complex to understand and complex to control the three major factors involved at the same time. Holiday is always a good time for slowing down a busy brain, reset the mind and let some new ideas come up. Science, mainly biology, physics and chemistry, is always my primary interest, much more than sport to be honest. I remember as a boy being an enthousiastic member of The Young Researchers Foundation, organized by university students, who practiced teaching chemistry, physics and technology to kids. This foundation still exists. Although I was, like many boys of that age, fascinated by rockets, explosions and smells (once I made the whole neighborhood smell like pineapple: I synthesized ethyl-butyrate), I also learned e.g. paper and column chromatography. Hiking in the mountains not only makes you feel small and irrelevant, but it also makes me wonder still about the true marvels of nature and human’s futile attempts to improve nature. Let me give you a simple example. In an attempt to improve human health or to combat disease the immense pharmaceutical industry is trying to find solutions for common or rare, for acute or chronic diseases. The cost of these, in terms of financial costs, but also of human suffering by side effects, or experimental medication that doesn’t work like it was anticipated, is beyond belief. 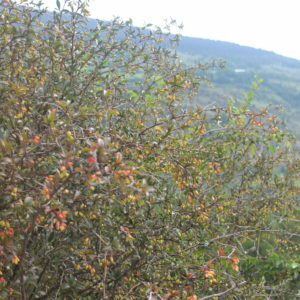 For some part, isolation and modifying a natural molecule is done to improve the qualities of the compound, (better absorption, stronger effect, less side effects) but the main reason is: being able to patent a „new“ compound, thereby having “improved” on nature and most importantly, generating absurd levels of profit for the shareholders. Yes, human health has become commodity to be exploited and look around, it works out really well. In my opinion it is hard, if of not impossible to improve on nature, not in an esoteric sense, but from a scientific point of view. Think about the many thousandof different plant metabolites that exist and of which only a small portion has been discovered and tested. One of the big problems of modern medicine is the resistance of bacteria against modern synthetic antibiotics, think MRSA (modern antibiotics basically started in the 1940’s with the discovery of penicillin). Now think of plants being involved in a chemical warfare with bacteria, fungi, viruses, insects, and other pests and threats. 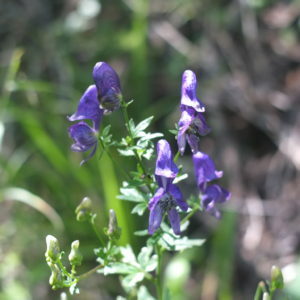 Have you ever thought why these plants, or better said most plants, are not extinct yet despite these continuous attacks? Simply because plants, through evolution, developed their own well stocked cabinet of antibiotics as a defense system to protect themselves. And better yet: throughout the hundreds of thousands of years, bacterial resistance against these compounds does not seem to play a role. For bacteria it is easy to develop resistance against one singular, isolated, synthetic compound, but not against many diffrent plant compounds since the resistance process is specific and costs a lot of energy. To be fair, a plant has the advantage of having had hundreds of thousands of years of hard and serious experimentation under lethal pressure: synthesize the right compounds against an attacker, or become extinct! The vegetable part of Mother Nature supplies us with lots of goodies, apart form our daily nutrition. We often take most of them for granted because they are so integrated in our daily life. A short list: tea, coffee, beer, wine, tobacco, cannabis, opium, cocaine, etc. All of these are derived from plants and used to enrich the daily lives of billions of people on this planet. Or are used because we disagree with the current status of our organism and so we use chemical, although natural, substances like the above to change that. 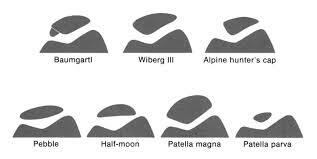 It has always been there from the beginning of mankind and a known phenomenon in all human cultures. These plant compounds also cause the confusion that makes it hard to define the difference between a poison, a social drug, a street drug, a medication or a doping agent. The same compound can belong to different groups, dependent of time and cultural factors. Just think about the different ways one can look at coffee. This whole issue is surrounded with a high level of irrationality. 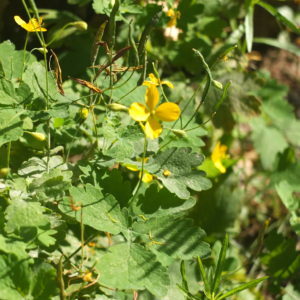 We already know that compounds in these plants do work on cancer cells in the lab. But since there is no money to be made from these compounds, as they can be found everywhere. The research and testing on human subjects and patients would cost way more money than would ever return from making a therapeutic product out of it. So many valuable compounds are produced along the side of the road or are growing in your own garden, without people bothering to use them. This what we call progress. But billions of dollars have been spent (since Richard Nixon declared the “War on Cancer” in 1971) and thousands of intelligent experts and researchers have been thinking about and looking in vain for a final solution for cancer. Some simple conclusions can be drawn: 1.until now their thinking was inadequate, 2. they have been looking at the wrong issues 3. they have been looking at the right issues but from he wrong perspective. Three easy solutions: think in a different way, look at other issues and/or look from another perspective. Maybe part of a solution has been around for a long time, waiting to be finally discovered, hidden deep in the metabolism of some plants? The example is here, in 2015 Youyou Tu won the Nobelprize for Medicine (the first Nobelprize for a Chinese scientist) for the research she did on Artemisia, a plant used to combat malaria, knowing that Artemisia already has been used in China for many hunderds of years against fever. 1 Tai, C.J; El-Shazly, M: Clinical Aspects of Aconitum Preparations; Planta Med. Vol.81, 2015, pg.1017–1028. 2 Rowling J.K. Harry Potter and the philosopherʼs stone; Pottermore, London, 2012. 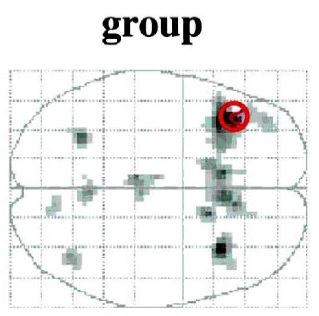 3 Malíková J, Zdarilová A, Hlobilková A, Ulrichová J: The effect of chelerythrine on cell growth, apoptosis, and cell cycle in human normal and cancer cells in comparison with sanguinarine. Cell Biol Toxicol. Vol.22, No.6, 2006 pg.439-53. 5 Tillhon,M; Guama´n Ortiz, L.M; Lombardi, P, Ivana Scovassi, A: Berberine: New perspectives for old remedies; Biochemical Pharmacology,Vol. 84, 2012, pg. 1260–1267. 6 Weijia Kong, Jing Wei, Parveen Abidi, Meihong Lin: Berberine is a novel cholesterol-lowering drug working through a unique mechanism distinct from statins; Nature Medicine, Vol 10, No.12, 2004, pg.1344-1351. 8 Zhu, Y; Mao,Y :A pigenin promotes apoptosis, inhibits invasion and induces cell cycle arrest of T24 human bladder cancer cells; Cancer Cell International 2013, 13:54,pg.1-7. 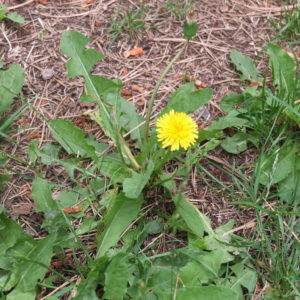 9 Ovadje, P; Ammar, S; Guerrero, J-A; Arnason,J.T; Pandey, S: Dandelion root extract affects colorectal cancer proliferation and survival through the activation of multiple death signalling pathways; Oncotarget, Vol. 7, No. 45, 2016, pg.73080-73100. In the last post I already indicated the importance of the individual. I have been going through a lot of books lately to look at the same information I have looked at before, but this time from a different view. I adapted the concept of the strictly individual approach from the beginning of my work as coach somewhere in 1975. And throughout the years I got more convinced about its value for performance. “ Look at your athlete, not at your program” sums it up nicely, but “improve your athlete, not your program” will do as well. The case is that what I learned during my coaching courses was all based on the average athlete, by great pioneers in the methodology of training (Matwejew, Werchoshansky). However, when I run into my first international level athlete, (something I did not know at that time) I found an outlier. And everything I learned at my course failed to work for this particular athlete. A few years later I trained another world-class athlete and the same thing happened: everything that worked for the first one, did not work for this athlete and the other way around. Looking at these athletes it wasn’t difficult to figure out why that was: they were complete opposites in almost all variables, but both were outliers from the average still. Some of them respond very well to certain training methods, others hardly respond or are getting injured. One athlete’s overload is another athlete’s overkill. One sprinter could jump and do plyometrics like a kangaroo, with great improvement in explosive strength and without injuries, the other sprinter of the same level got pain and would be injured after a minimal set of jumps or bounding. 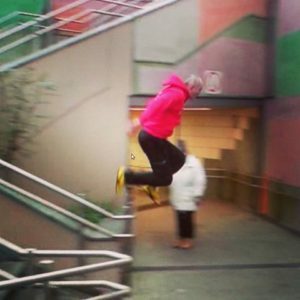 So what to do: do plyometrics or not at all ….. well, it depends on the individual athlete. This is also one of the reasons why I don’t put much time into technique training as it is supposed to be done. For me technique is an individual tactic used to solve a given motor task. Yes, the strategy might be the same, but the tactic might be different, dependent on many anatomical and physiological factors In sprinting we could already see an extreme example in the former elite GDR female sprinters some were successful with focus on stride frequency (Goehr, Stecher), others with focus on stride length (Koch, Gladisch). So, yes as they say there are many ways leading to Rome (but keep in mind that many people do not even arrive in Rome, or arrive too late). A few examples: we see pictures of anatomical structures, in books about biomechanics of running, but who’s muscles are we really seeing there? As we know, anatomical structure dictates function and the other way around. So a different anatomical structure will lead to a difference in function. Look at the variations in the structure of the patella, one variation is much more predisposed to be involved in knee injuries than others. Videos or photos of exemplary athletes surely give you the wrong impression! You can only run like Gebreselassie or Bolt if you ARE Gebreselassie or Bolt! Everyone else is doomed to fail! 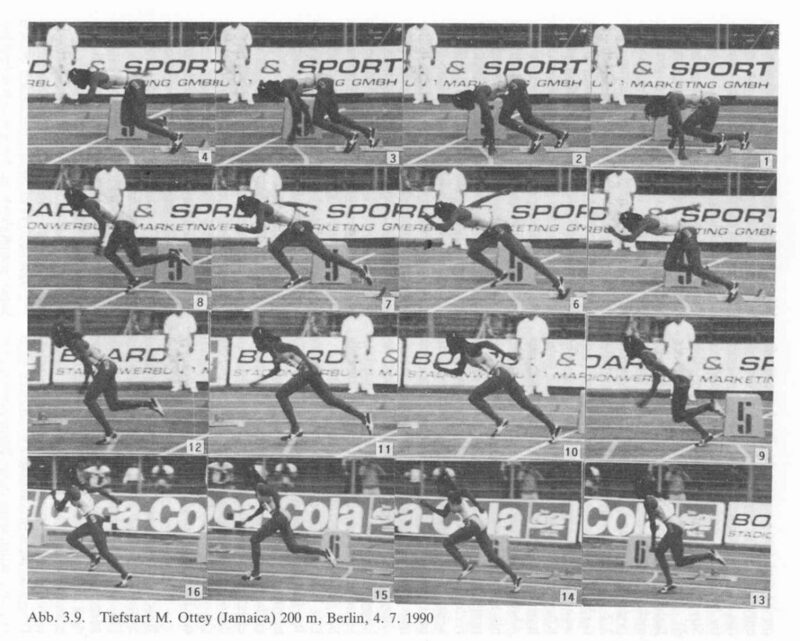 One fine example from some time ago where in a former GDR textbook a photoseries of the start of Merlene Ottey was shown with the note that this was a textbook example of a good start. Whereas my own notes of the same start, being her coach at that moment, say it was a very bad start. Another one: during a scientific research project we looked at the force production at the starting blocks with elite athletes. Looking at the picture you see large individual difference despite the facts that they were all elite sprinters of comparable level. During this project, just for kind of fun, the sprinters also tried to copy Ben Johnson’s start, but they all failed to even come close (and they were strong and explosive guys). So, how valuable is scientific research in this issue? In medicine or in sports we are looking to improve the health or the performance of individual patients or athletes. And often average data, like norm values or reference values are used as guideline for progress. Here is the key: when someone tells speaks to you about “the average athlete” remember that you might not want to coach the average athlete but rather the non-average of elite athlete, the outlier. The average sprinter runs 12 seconds in the 100 meter. Looking at psychological factors the situation is even more pronounced. Its seems that psychological traits are hardly stable factors. And most of our behavior is purely contextual. One thing should be clear: there isn’t even such a thing like the average person: the average person has one breast and one testicle. 2. Miller, M.B; van Horn, J.D et al. 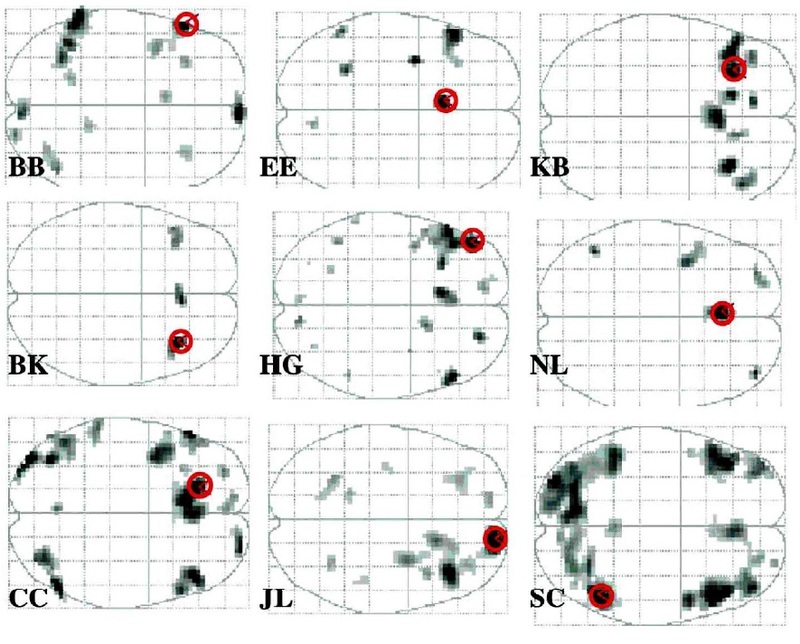 : Extensive Individual Differences in Brain Activations Associated with Episodic Retrieval are Reliable Over Time; Journal of Cognitive Neuroscience Vol.14, No.8, pg. 1200–1214, 2002. Rose, L.T; Rouhani, P; Fischer, K.W: The Science of the Individual; Mind, Brain and Education; Vol.7, No.3, pg.152-158, 2013.